Escalante is a rather large national monument in southern Utah between Bryce Canyon National Park, Glen Canyon National Recreation Area and Capitol Reef National Park. Most of the access is on dirt roads of various conditions and with varying regulations about street legal vehicles. 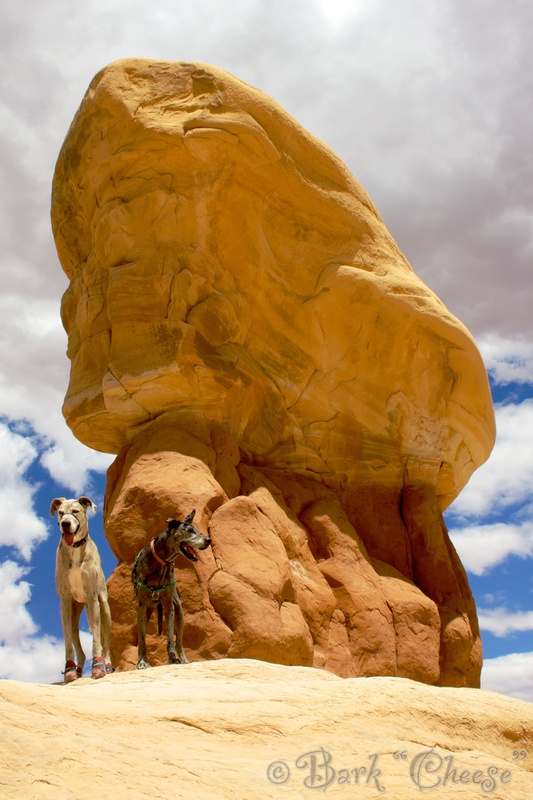 The monument gets a 4 paw rating since there are only two regulations listed: 1. that dogs need to be leashed on the Lower Calf Creek Falls trail and if you enter the adjoining Glen Canyon National Recreation Area and 2. they have been banned from Coyote Gulch since April 2005 which is also outside the Escalante monument and into the Glen Canyon NRA. As long as you stay in the GSENM the Lower Calf Creek Falls trail is the only regulation that directly applies. 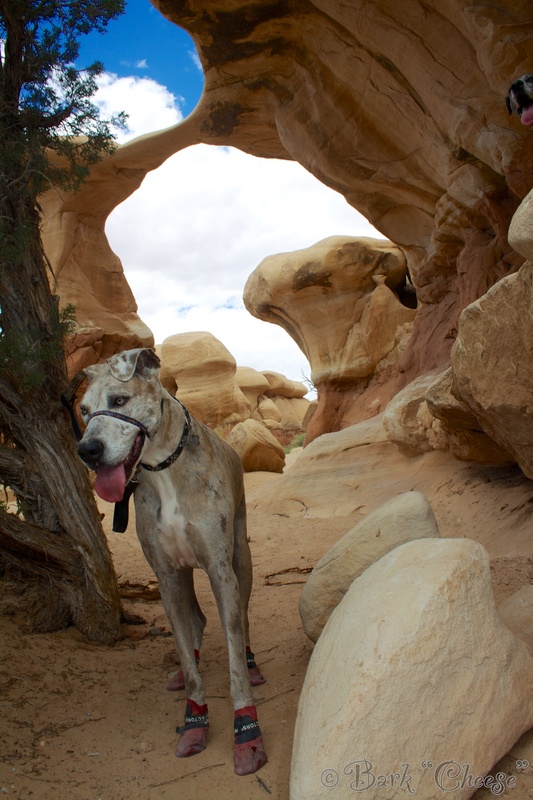 We entered the monument via the Hole-in-the-Rock Road and spent most of our time at Devil’s Garden. 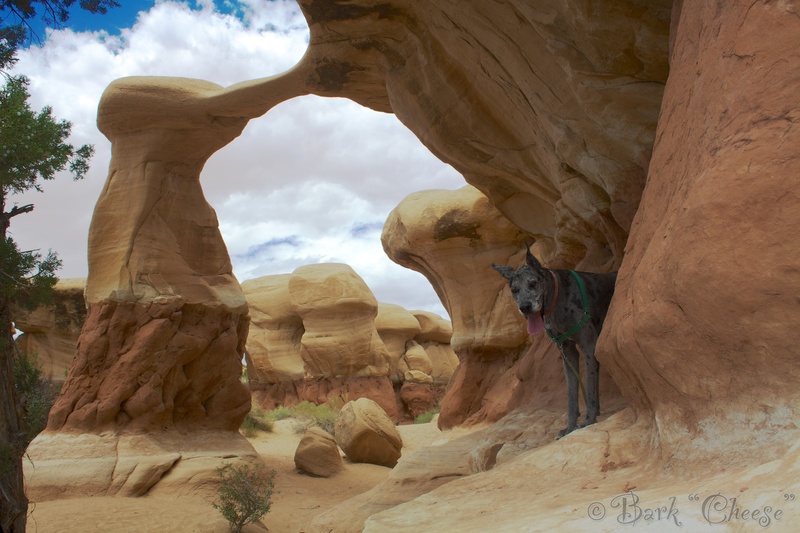 The area has a variety of sandstone hoodoos and arches to explore. 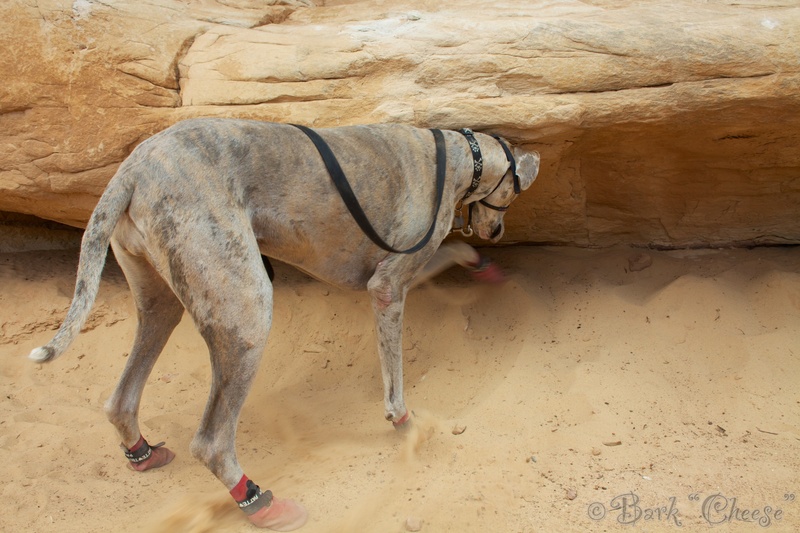 You’ll notice K’Ehleyr is wearing booties, she blistered her feet on hot pavement and later tore them open hiking. So be aware of the ground temperatures and surfaces you are hiking on or invest in some booties if you think your dog will wear them. Varel found a cooler place to rest. K’Ehleyr couldn’t figure out how to get on the rock so she decided to explore under it. 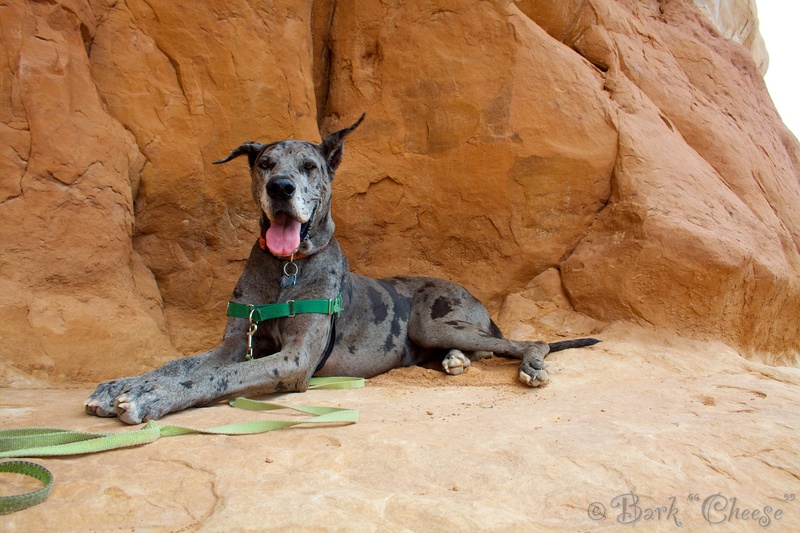 This entry was posted in Dogs and National Parks, Great Danes, Pet Photography and tagged Escalante, Great Dane, hiking, K'Ehleyr, National Parks, traveling, Utah, Varel. Bookmark the permalink.